Representatives Jim McGovern (left) and Richard Neal (right) could become chairmen of two of the most powerful committees on Capitol Hill. 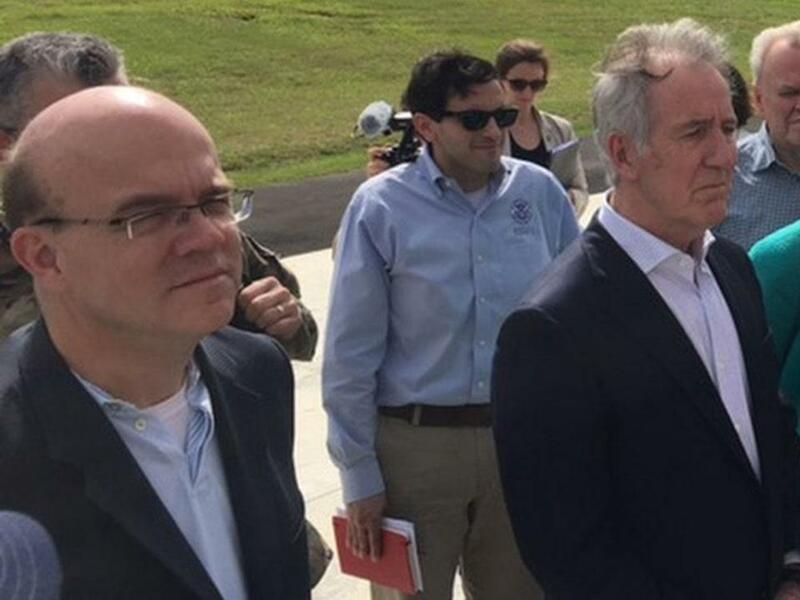 Above: McGovern and Neal in Puerto Rico earlier this year. WASHINGTON — The once mighty Massachusetts delegation — locked out of power and languishing in the minority in Congress — may be poised to seize back some of its former glory. If some political analysts are right and a “blue wave” of fired-up Democratic voters gives the party control of the House in the midterm elections, Representatives Richard Neal and Jim McGovern would likely become chairmen of two of the most powerful committees in Congress next January. Neal, after nearly 30 years in the House, became the ranking member on the Ways and Means Committee in 2017. This month, House minority leader Nancy Pelosi will officially tap McGovern, who has more than 20 years of seniority, to be the top Democrat on the Rules Committee, succeeding the late Representative Louise Slaughter. Fresh-faced delegation members such as Representatives Joe Kennedy III and Seth Moulton often steal the headlines as rising stars, but it’s their more experienced colleagues who have quietly risen through the ranks. Chairmanships would position the Massachusetts delegation to shepherd the Democratic legislative agenda if a Trump backlash puts the House back in the party’s hands after eight years of GOP control. “If they are both chairs, I think that will be the most power the state has had frankly since Tip left,” said former Massachusetts representative Barney Frank, who had served as chair of the House Financial Services Committee. Representative Thomas P. “Tip” O’Neill Jr., the legendary Cambridge lawmaker, was speaker of the House from 1977 to 1987 and was so effective at sending money back to Massachusetts that the massive Big Dig tunnel under downtown Boston was named after him. 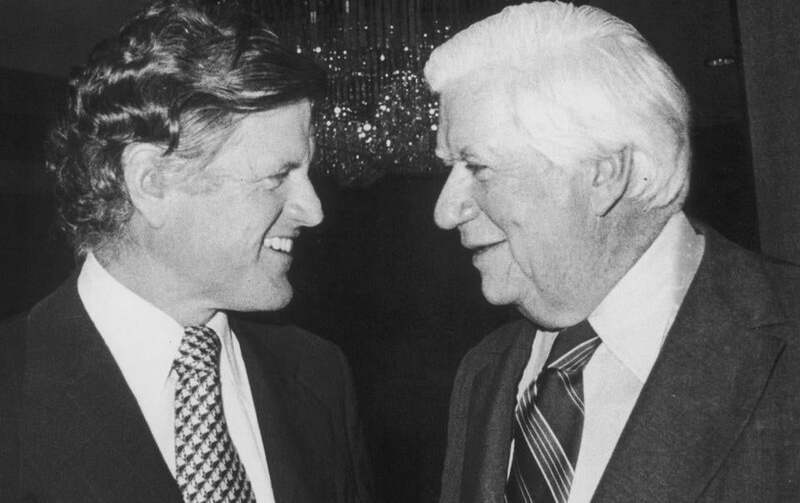 Edward M. Kennedy worked with him in tandem in the Senate, prompting one former Kennedy aide to call the duo “the most powerful delivery system” for Massachusetts of all time. In today’s gridlocked, highly partisan Capitol Hill, holding a chairmanship often is an exercise in frustration. Nonetheless, Neal and McGovern would be key players touching nearly every piece of significant legislation in a Democratic-controlled House. As Ways and Means chairman, Neal could direct attempts to roll back the Republicans’ tax reform package and any health care changes. On the Rules Committee, McGovern would serve as the gatekeeper for all legislation, deciding which bills move forward to the House floor and which bills quietly die in committee. The stakes in the 2018 election couldn’t be any higher for the Massachusetts team, because there is not a single Republican among the nine representatives. In the US Senate, Democrats face a more difficult path for 2018, and most analysts say odds are high that it will remain in Republican control. Democratic Senator Elizabeth Warren of Massachusetts is expected to easily win a second term; Ed Markey, the state’s other Democratic senator, does not face reelection until 2020. The potential upgrade of the state’s House delegation has old-timers seeing visions of the glory days once again. “The Massachusetts delegation will be poised once again to deliver for their home state, just like they used to do in the golden years of Speaker O’Neill, Senator Kennedy, and others,” said Democratic strategist Jim Manley, who used to work for Kennedy. But Neal, who has seen the ups and downs of the delegation since first winning office in 1988, isn’t picking out curtains for the chairman’s plush office. “I’m certainly confident, but I’m not overconfident,” Neal, 69, said of his chances to become chairman. After Kennedy’s death in 2009, the Massachusetts delegation across both chambers lost nearly 200 years of seniority in the space of a few years, reaching a low point in 2015 of a paltry combined 93 years in office. Frank retired in 2012 after 32 years in the House. Markey’s 37 years of House seniority were essentially erased when he became a freshman senator in 2013. Also, Representative John Olver retired after 2012, leaving Massachusetts without a seat on the powerful Appropriations Committee until Representative Katherine Clark was appointed to one in 2017. That made for the least experienced delegation since the 1960s — a big liability in an institution that runs on seniority. If he becomes chairman, Neal plans to seek a repeal of the state and local tax deduction cap put in place by Republicans last year. The cap hurts higher-income taxpayers in states and cities with steep local taxes, such as Massachusetts. Neal also wants to lower health care premiums and shore up pension plans. The Springfield politician considers himself a bipartisan dealmaker, an attitude that would come in handy if Republicans keep their Senate majority, as legislation must be approved by both chambers. McGovern declined an interview request through an aide, because he has not yet formally been named ranking member on the Rules Committee. But a Democratic leadership aide confirmed he would be selected early this month. If Democrats take the House, the full Democratic conference would need to approve nominations of both Neal and McGovern as chairmen. McGovern has his seat on Rules thanks to the late Representative J. Joseph Moakley, who called in a favor on his deathbed in order to get his former staffer, McGovern, on the key committee. While House speaker, O’Neill methodically spread out Massachusetts lawmakers across the best committees, hoping they would climb the ranks over time and deliver for their state. The delegation has tried to keep this tradition alive, even with diminished power to do so. Massachusetts companies and industries are excited to perhaps soon have a direct line to chairmen pushing for a bigger piece of the funding pie for them and their interests. “Obviously Congressman Neal cares about Massachusetts companies, and he’s going to continue to always do that. But when you’re chairman you really can have the definitive hold on what’s in the bill and what’s not in the bill,” said Rasky. Ted Kennedy (left) and Tip O’Neill worked closely to help secure federal funds for their constituents. Rasky also said the plan for high-speed rail between Springfield and Boston would also get a boost if Democrats take control. “That doesn’t get done without serious heavy lifting from the delegation,” he said. Massachusetts lawmakers say they’re excited to potentially be power players again. “There’s absolute certainty that with the seniority we have in the House, it will be a much more effective delegation than it’s been in a while,” said Representative Mike Capuano, who, if Democrats take over, could lead subcommittees of the transportation and finance panels. Capuano said he would seek a bigger piece of the funding pie for Massachusetts if Democrats gain the majority, especially for transportation projects. The slow machinations of the House and its levers of power often don’t translate to voters. Capuano is facing a primary challenge from Boston City Council member Ayanna Pressley, but he doesn’t plan to make his seniority an issue in his campaign by pointing out he would have more leverage in the chamber. “Let’s be honest; the average person doesn’t know how the sausage is made,” he said.